When you’re bored of London you’re bored of life or so said the diarist Samuel Pepys and for Daphne that seems to be the case. Single and living on her own she works as a cook in a cafe where the boss is yet another former ex boyfriend. Daphne lives as a typical care free 20-something except she’s 31 years old and that lifestyle of hedonism is fading away yet she still tries to live that life. Casual one night stands and casual drugs intake is all part of the shallow existence she leads. It’s only when the grim inevitability of living in London strikes that she is given a jolt. It’s a shocking moment of random and almost casual violence that leaves a man dying in front of her that she begins to reappraise her existence. 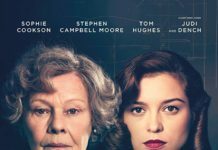 It’s further compounded by her mum, the always great Geraldine James, and their fractious relationship that is one of the highlights of the film. 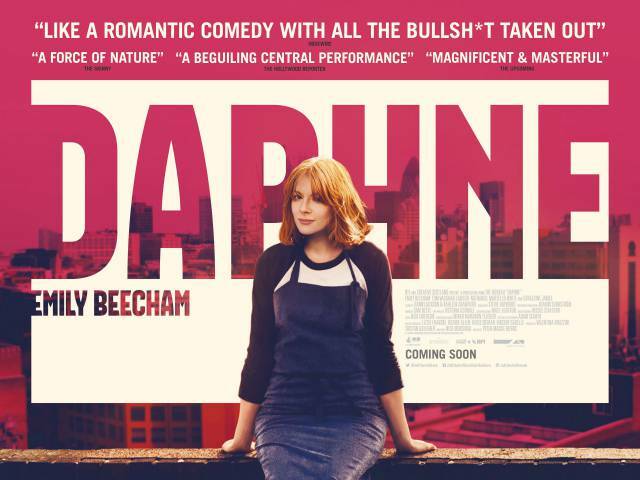 The other highlight is Emily Beecham herself who plays Daphne in what is one of the breakout performances of the year as the feisty independent but ultimately lost 30-something. There’s not much of a plot in director Peter Mackie Burns film whose directorial debut this is and the film is more a series of incidents in her life and how London can engulf so many attracted by the bright lights and perceived glamour only to find the party quickly ends with little money and how easy it is to be alienated by her own insecurities unable to forge any meaningful relationship. Even the moment on a bus where another woman tries to engage her in pleasantries and small talk is an olive branch that she never really grasps. Daphne is a woman desperate to be loved but never really allowing anyone to get close as she embarks on a self destructive path. 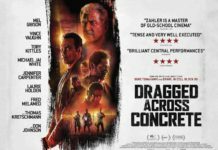 Similar to the stories of everyday people featured in Ken Loach and especially Mike Leigh films but without the social conscience worn on its sleeve, this is a decent debut by director, star and writer. Could Wonder Woman be an Oscar contender……. ?